Tickover is a Performance Ford and Classic Ford parts supplier and garage service provider. A family run business since January 1992. Our big love is the Ford Capri and this has been the main part of our business and lives since we started. From helpful tech articles to news of new product lines, special offers and project updates- it's all here. We have a great online shopping facility with new products being added every day. Love or hate ebay, it is definitely an exciting way to hunt for those parts at bargain prices. See what we are listing. Shopping for parts for your Ford? "...and Happy New Year too." We're agents and fitters for these guys, and we've been given some good discounts on complete packages for suspension, brake and exhaust upgrades. We can pass these on to you. Several different options with budgets and performance levels to suit everyone. We can sell you a takeaway kit, but why bother, when we're approved fitters and can do the job for you. 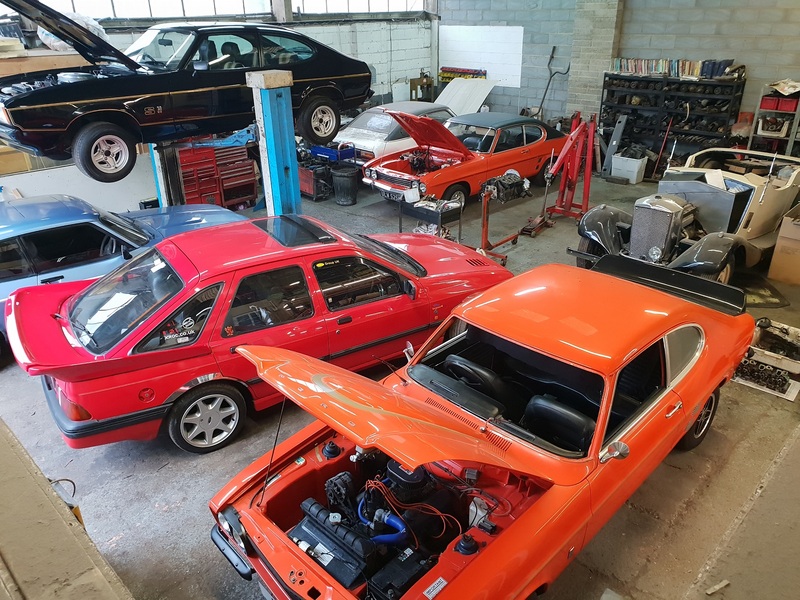 Whether you have something modern, like a Focus, or old school, like a Capri there's something for you, Click on the logos above to see details of these top quality kits and their prices.